The findings show that you should take great care of your wallet. London, England (CNN) -- Only one in five people who finds a wallet in the street would hand it in or try to track down the owner, a British privacy protection firm said Wednesday. That's despite three-fifths of people saying they would try to return it, CPP said. The findings throw people's honesty into question, but they also show the importance of taking care of one's belongings, CPP said. Researchers dropped 20 wallets and purses in each of five British cities -- London, Birmingham, Cardiff, Glasgow and Leeds -- earlier this summer. Each wallet or purse contained £10 ($15.60), a photograph, tickets, receipts and business cards that linked the item to the research team. The "drops" were made at shopping centers, museums, cafes, parking garages, and on the street and public transportation, CPP said. Only 20 percent of the wallets and purses were returned, and only 55 percent of those contained the original sum of money, CPP said. Researchers also interviewed a random sample of adults and found that 10 percent had lost their wallet in the past five years, and an additional 8 percent lost their wallets through theft. The polling was conducted by ICM, which interviewed 2,029 people over four days in July and August. 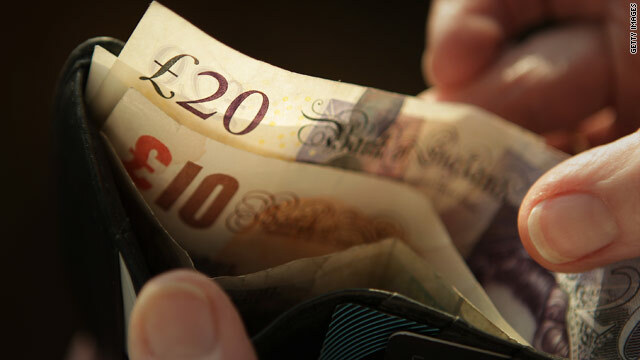 They found people carry an average of £85 ($133) in cash and more than £7,000 ($10,900) in credit in their wallets every day, CPP said. The average person will also spend more than 110 hours -- or four and a half days -- replacing their personal mementos, and credit and debit cards, it said. "Losing your wallet is a highly stressful experience and causes great inconvenience and worry," said Sarah Blaney, a card fraud expert from CPP. "With the vast majority of people carrying their credit and debit cards, as well as vital personal information in their wallets, millions of people are putting themselves at risk of fraud." Researchers found a wallet or purse is far likelier to be returned if it's lost in a museum, with 47 percent of the ones dropped there having been returned. About a third of those lost in shopping centers were handed in, they said. None of the items lost in cafes or on public transportation were returned, they said. Of the five cities where the wallets were dropped, London proved to be the most honest, with all returned wallets still containing the original amount of money, CPP said. Birmingham fared the worst, with one in four wallets returned and all being empty.